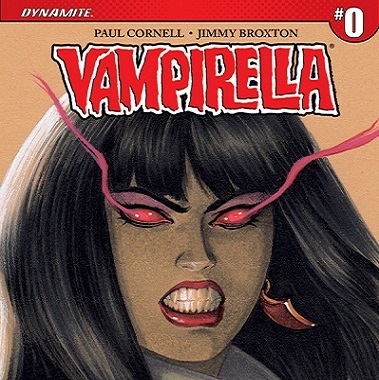 Vampirella is a classic gothic comic book character, mystical and exotic, but still managing to be darkly macabre. Dr Who writer Paul Cornell is scripting a brand new series for the vampire queen that will arrive in February 2017. Vampirella has appeared in print since 1969, she has become a cult female figure and pop culture icon. Dynamite Comics relaunched the character in 2010. In recent adaptations Vampirella has been depicted as the vampiric daughter of Lilleth, the first wife of Adam, who was banished from Eden. In the time since, Vampirella has morphed into a femme fatale superheroine who fights against demons and monsters on the side of good. The new comic series will be a direction shift from the themes explored in the publication from earlier in 2016. Vampirella has disappeared and been absent from our plane for over 1000 years. Now she finally makes her return, but to a very different world. This new envisioning sounds like a very different take on Vampirella, with the gothic queen now interacting in a more modern setting. Paul Cornell has promised that the series will introduce an entirely new world for the character. Artist Jimmy Broxton will be creating the illustrations, he is well known for his work on Knight & Squire and Wool. Dynamite Comics are even offering a reduced introductory price of 25 cents. The release date for Vampirella #0 is February 2017.